Our goal is to give our customers the best value for their budget. Each year our retail department sends one of our employees to attend a trade show to find the best, most up to date manufacturers and instruments, in terms of quality and affordability. We believe in selling instruments that are high quality while staying within reach of people just discovering their love of music. 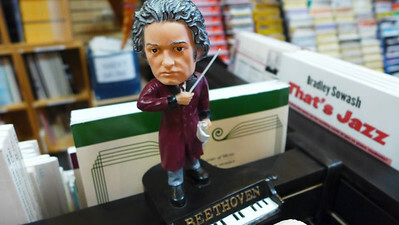 However, we also carry a selection for serious artists. To best serve our community, our two locations carry slightly different selections of instruments. Our Brambleton location has a wider selection of electric instruments while our Ashbrook location has a wider selection of acoustic instruments. Both locations carry high quality musical instruments for students and professional musicians from Fender, Selmer, King, Bach, Holton, Amstrong, Glaesel, Scherl & Roth, Leblanc, Vito, Ludwig, Conn, Selmer Paris, Eastman, Hamer, Yamaha, Casio, Suzuki, Korg, Takamine, Gretsch, Buffet Crampon, Ovation, Marshall, Vox, and many more. 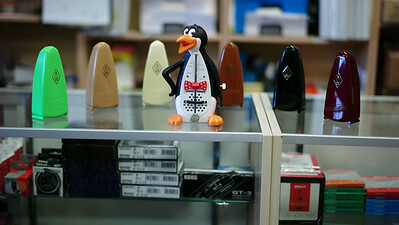 If you find that we do not have the instrument you are looking for, we can place a special order for you. We carry a large selection of sheet music ranging from lesson and teach-yourself books to pop music to jazz and blues, and of course the classical canon. We also carry the music books required by local public and private schools. Our publishers include Alfred, Bastien, Hal Leonard, Faber & Faber, and John Thompson, to name a few. We carry a comprehensive selection of scores, music books, sheet music, learning CDs and DVDs, and quality music accessories and gifts.